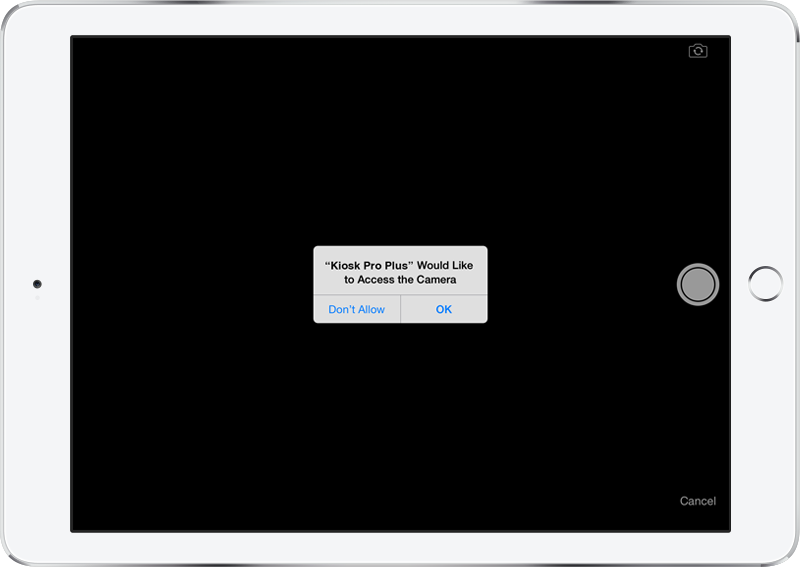 Depending on your kiosk project, Kiosk Pro may require permission to use some of the features in iOS on your iPad. The first time Kiosk Pro needs to use an iOS feature (like the native iPad camera, for example), a window will appear on-screen asking if the app can have permission. Touching 'Yes' will dismiss the window and you will be able to continue navigating your content. If 'No' is pressed, the feature will not be accessible. 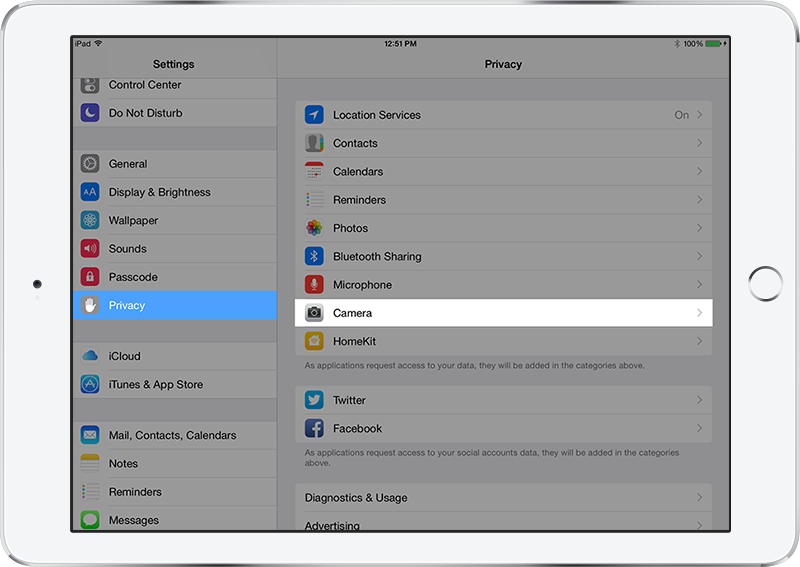 If 'No' was chosen accidentally, you can change which apps have permission to iOS features in the iPad settings under the Privacy section.